#1 and #2 went to scouts camp this weekend past. Husband went to man camp. I basically pulled an all nighter Friday night and sewed. I downloaded a FREE pattern from either nap-timecreations.com or dana-made-it.com . 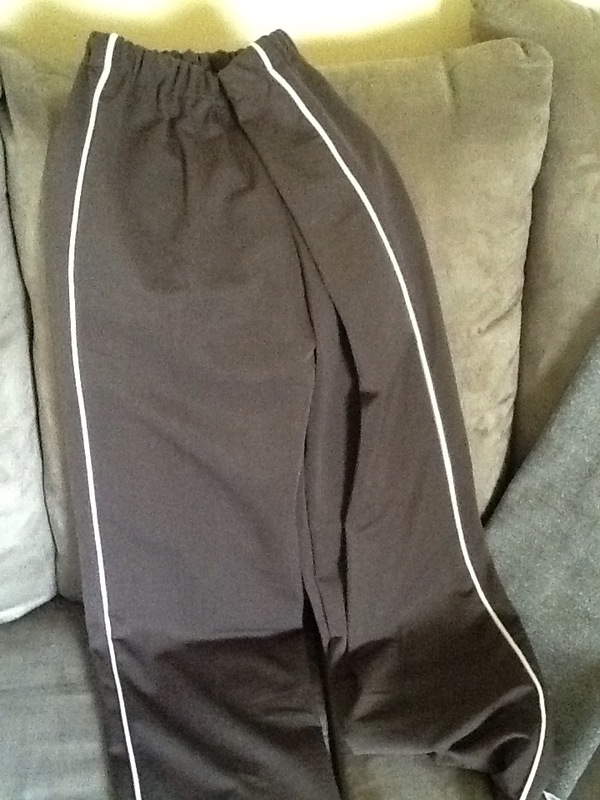 When I printed the boys size 10 mesh pants pattern pdf both websites were printed on it. I’m new to blogging and to giving credit using hyperlinks so please feel free to comment some tips and tricks if I’m doing it wrong. 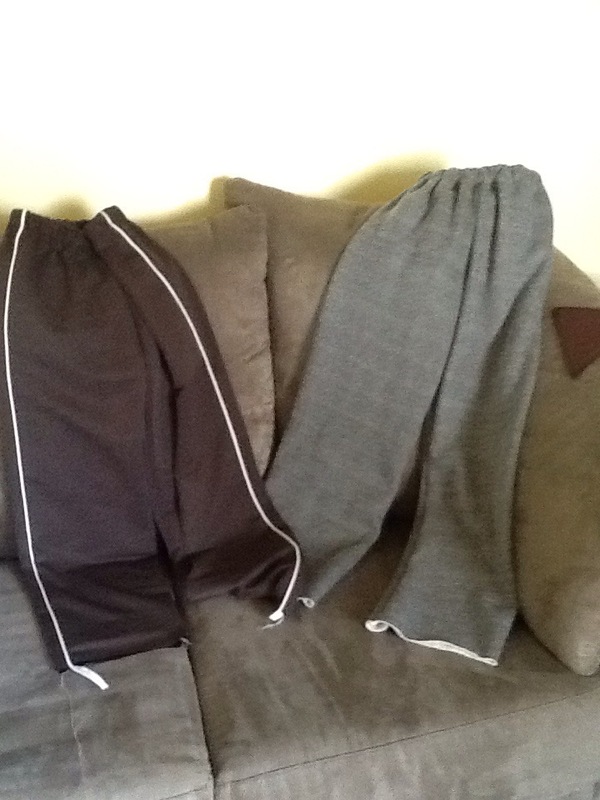 I am THRILLED with these two new pants for the 10 year old. I didn’t read the tutorial, silly me, I thought that would take too long, so I just went for it. In hindsight, I lost about an hour staring at the paper trying to figure out which line was size 10. I think it was just me. It was, sort of, the middle of the night, after all. 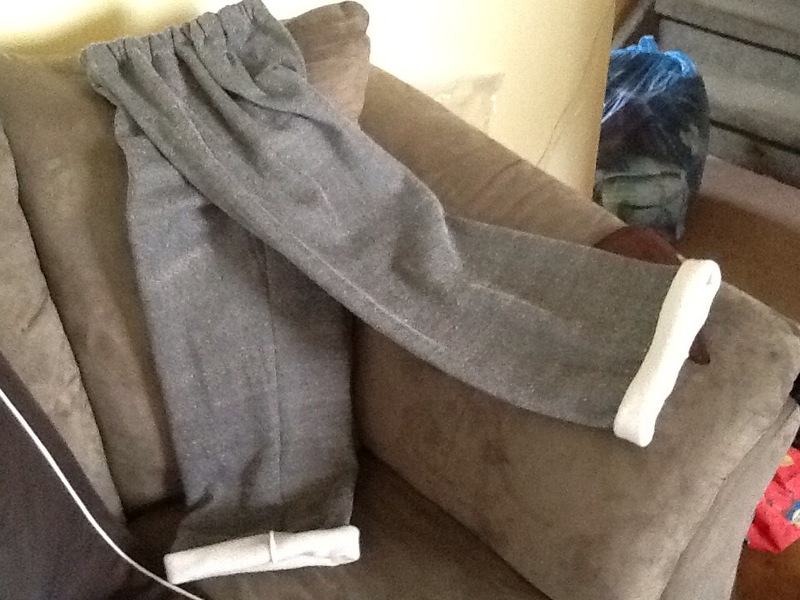 Once I had the pattern taped together, these pants went together fast. I didn’t put ANY pockets on. I just really wanted them to be done. I feel like I have gotten comfortable sewing easy projects, now with 4 kids. Especially since I found my zipper foot to add in the corded stripe on the side. This time it was SO EASY. So, I am ready to try out some more things I used to sew with ease before kids. Like, front pockets, or side seam pockets. 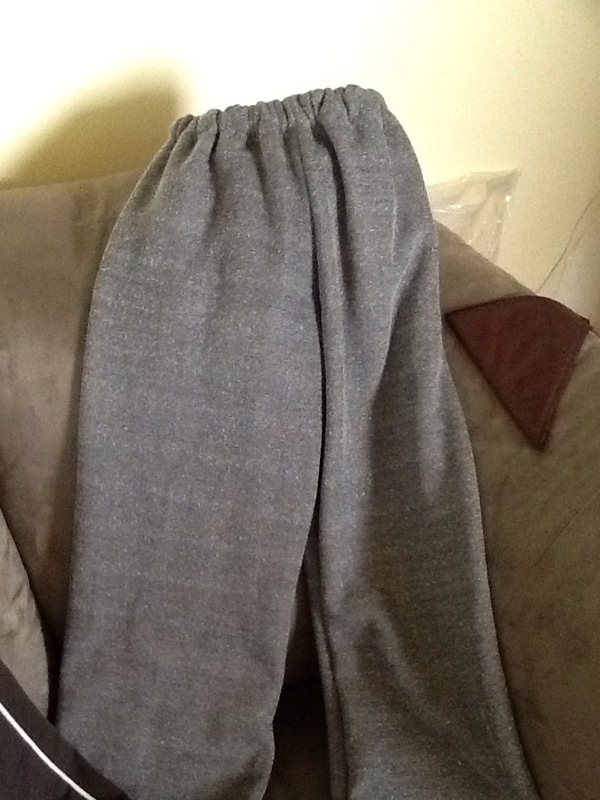 Attached waistbands, on top of front pockets, instead of fold over waistbands. 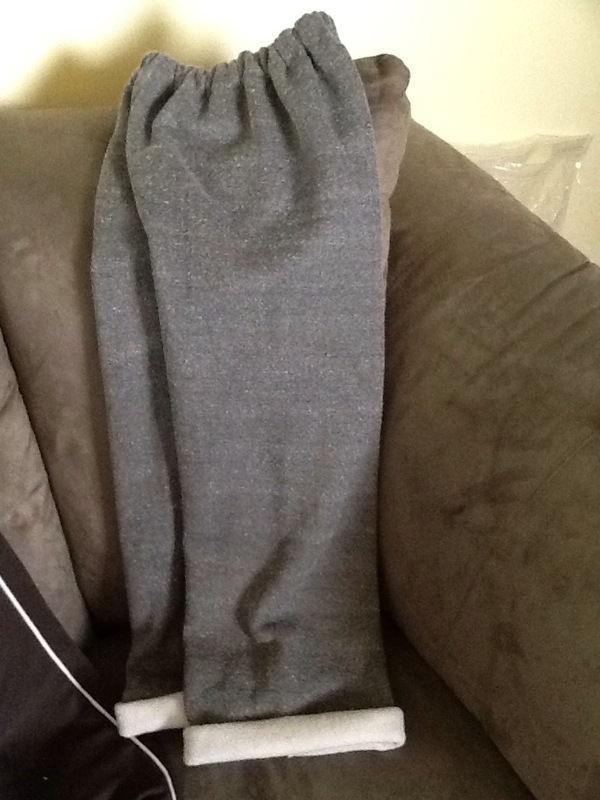 I sewed the first pair according to the pattern, but I laid the two pieces together, so there is no side seam. I find them a bit wide in the leg, near the bottom. The second go round I cut both front and back, and I tapered the inseam slightly. They are narrower, but I think if I sew a third pair WITH POCKETS ! 😀 I will narrow the leg even more. But that’s just fashion changing. We will see how they fit once he actually puts them on, but so far, it’s a really great pattern, for a free pattern!!! I am loving using the serger. It really makes project completion so fast and easy. Look closely at one of the pants. That’s right, gorgeous, soft, silky, dressy stretch corduroy, turned inside out. Looks just like every other pair of sport pants out there. I bought this gorgeous fabric to make my 3 boys three pairs of dress pants. 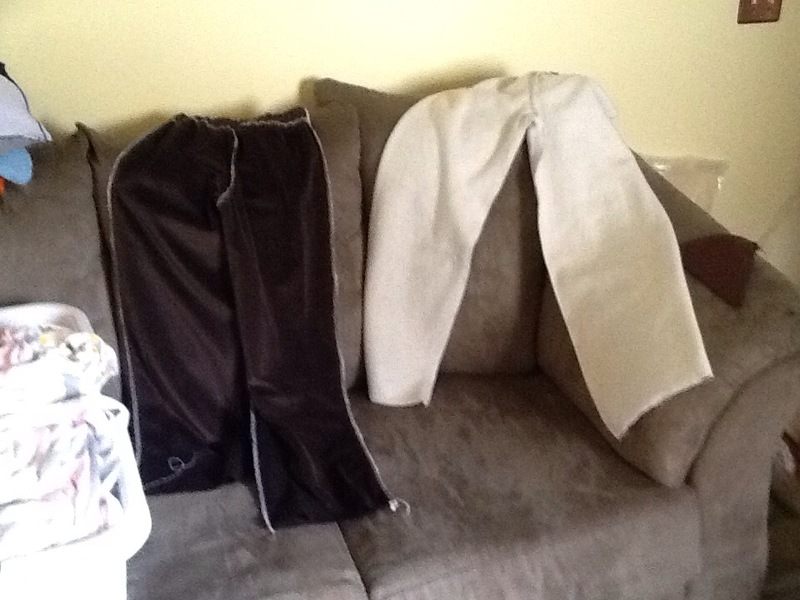 One brown fabric became a Barney costume for Fred and Barney from the Flinstones. 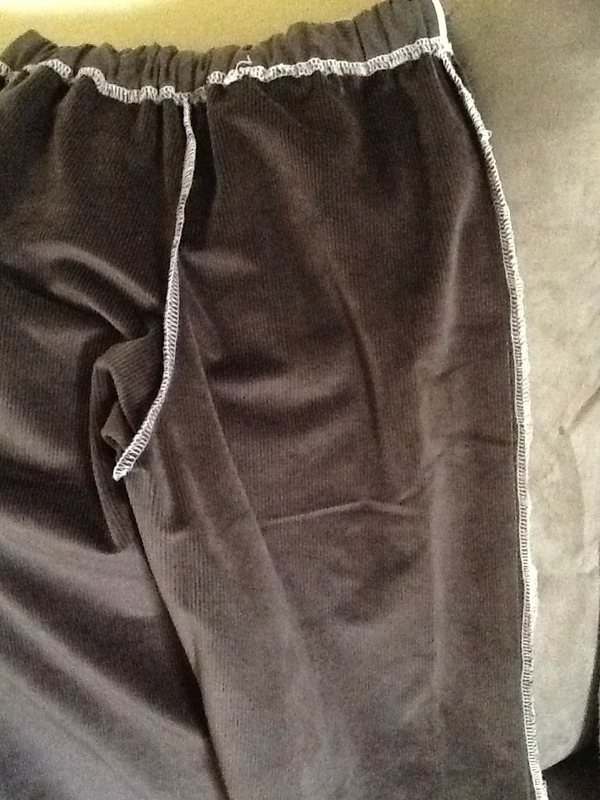 Now, a second fabric became a pair of boys sport pants. What can I say. These pants are easy. They are not fancy. But when your kid says, MOM! These are awesome! Who are they for??? Yes!!! Can I wear them right now??? I feel like I am the world best Mom, and top clothing designer and university trained seamstress all rolled into one. Who could ask for anything more? As soon as he tries these on for length, I will be hemming these babies!! !